I am not a fan of this series. I'm really not. I never played it as a kid. I don't have any nostalgic attachment to it. Every time I try to pick one up and play it nowadays, I can barely scratch five hours before losing interest and moving on to something else. Why is it then that every Dragon Quest trailer gets me so pumped? 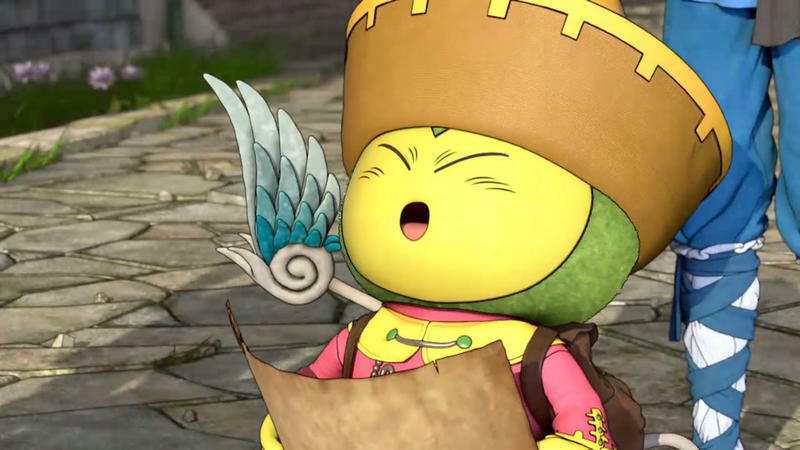 This latest Wii U trailer for Dragon Quest X is a wonderful example. I have no inclination to play this game, nor would I ever drop a subscription fee to go online. Why does it give me uncontrollable glee and goosebumps? Is it the classic Akira Toriyama artwork tapping my repressed childhood Dragon Ball obsession? Is that glorious anthem ringing in a part of my brain that remembers hearing it on the street the first time I came to Japan? Are my JRPG roots tingling for that empty void to finally be filled? What is it about this series that makes it so likable even if you don't like it? At any rate, Dragon Quest X was released in Japan earlier this year, and the gaming community has been surprisingly quiet over it. Dragon Quest IX was a huge success on the DS and had people all over the world buzzing about how fun it was. On the contrary, Dragon Quest X has sold a paltry 600,000 units in Japan, a sad figure hardly up to the standards the other games have established in this country. Perhaps it's because most of Japan is waiting to play the game properly on the Wii U. More power, easier online functions, better controller. This will be the definitive version of the game everyone will want. I get the feeling the Wii version was just a 6,000 yen demo now that I've finally seen the Wii U version in action. We'll have to wait and see how it does. If sales don't pick up in Japan, I'll be left a little worried about the American release. Square Enix hasn't announced anything as of yet, but they've been good to American fans over the last few years, releasing all the latest entries in the series in the PlayStation 2 and DS. However, between the shrinking MMORPG market and Square Enix needing the Final Fantasy XIV relaunch to go unhindered, Dragon Quest X's hopes don't look that hot right now. The Wii U version of Dragon Quest X will be released in March 2013 in Japan.